The British Association for Applied Nutrition and Nutritional Therapy (BANT) was interested to note the publication of a report describing General Adaptation Syndrome (GAS) in Medical News Today, this morning (https://tinyurl.com/ycnbzhh5). GAS is the physical manifestation of chronic and continued stress on the body. For many years, BANT nutrition practitioners have advised their clients on this topic, which is linked to adrenal fatigue. Previously, doubt has been cast on the existence of the physiological effects of long lasting stressors, despite the phenomenon being first discussed by Hans Selye in 1936. Selye clearly described the body’s responses to stress in terms of both the general adaptation syndrome and the activation of the Hypothalamic-Pituitary-Adrenocortical System (HPA). Modern day stressors which may cause GAS include: psychological, physical, social or the consumption of stimulants. Selye’s initial research was conducted on rats, however, a search this morning for academic studies relating to adrenal fatigue in humans, showed over 1,000 studies for 2017 alone, demonstrating how the health implications of this condition are now being taken seriously by the medical establishment. GAS occurs in three distinct phases, (1) The Alarm Stage or ‘Fight or Flight’ (2) The Adaption or Resistance Stage and (3) The Exhaustion Stage. The bodily resources, including key hormones, needed to sustain the body during each of these stages, has a cascade effect on other functions on the body and may cause unwanted symptoms including: a depressed immune system resulting in more frequent viral infections, an increased risk to Type 2 Diabetes and mental health issues, amongst others. BANT nutrition practitioners have been working for many years to support their clients who have shown symptoms relating to adrenal fatigue, advising them on nutrients and lifestyle practices to support their health, based on a thorough assessment of case history and any functional test results. 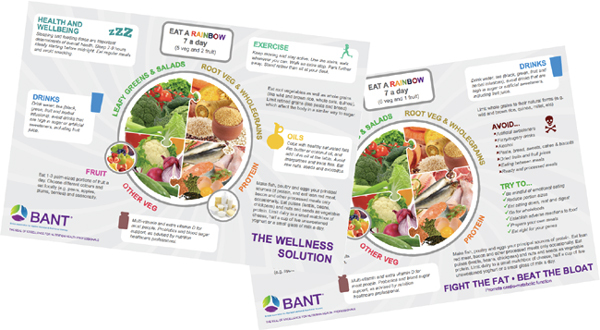 BANT Registered Nutrition Practitioners take into account individuality that enables personalisation of dietary advice based on the most up-to-date research available. BANT Nutrition Practitioners will also suggest their client’s seek other stress relieving activities such as meditation and yoga. As members of the Complementary and Natural Healthcare Council Accredited Register (AR, CNHC) BANT Registered Nutrition Practitioners and other CNHC registrants, are the key workforce asset to harness 21st century lifestyle medicine to tackle the rising tide of stress related fatigue, obesity, Type 2 Diabetes, dementia and other chronic diseases of ageing. A recent report by the Royal Society for Public Health and the Professional Standards Agency made a key recommendation that AR practitioners have the authority to make direct NHS referrals, in appropriate cases, to ease the administrative burden on GP surgeries. Click here to download the PDF version of this document. Welcome to the November issue of BANT ENews, this month’s feature article focuses on an interview with our Chair, Miguel Toribio-Mateas about on the value of n, size of 1, trials in the practice of nutritional and lifestyle medicine. The PPC gives a reminder on data protection and confidentiality requirements and this month we include not one but two book reviews: Beat Chronic Disease by BANT member Fleur Brown and How to Prevent Burnout by BANT member, Susan Scott. Welcome to the November issue of BANT ENews, this month’s feature article focuses on an interview with our Chair, Miguel Toribio-Mateas about on the value of n, size of 1, trials in the practice of nutritional and lifestyle medicine. The PPC gives a reminder on data protection and confidentiality requirements and this month we include not one but two book reviews: Beat Chronic Disease by BANT member Fleur Brown and How to Prevent Burnout by BANT member, Susan Scott. Access the BANT news here. Gut health, microbiota, microbiome, stool testing, are all favourite keywords in any BANT member’s vocabulary, and terms that functional nutrition practitioners have known for a very long time. The feature highlights the key role that gut microbes play in mental health, and explores the concept of “psychobiotics”. BANT Chair Miguel Toribio-Mateas, who is exploring the connection between gut microbiota in individuals with cognitive decline and the severity of their symptoms as part of his doctoral research at Middlesex university said: “I’m delighted to see growing interest in the gut-brain connection. BANT members have been using stool tests for years and this new research supports BANT nutrition practitioners who wish to help those who have issues other than just gastrointestinal. Unlike other nutrition based professions, BANT registered practitioners have functional testing as part of their core curriculum clinical training and are, therefore, ideally placed to assess stool tests results and provide individualised recommendations to optimise a client’s health.